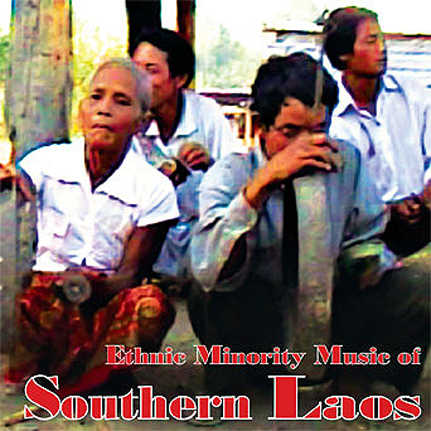 This is a collection of landmark recordings by Laurent Jeanneau documenting music created by the Harak and various Brao ethnic groups in Southern Laos. Here you can hear the true historic roots of Molam music (now a venerable popular music style in Laos and Thailand) played on the Khaen along with vocal styles from this region. Also featured here are Gong ensembles, various stringed instruments, cymbals, drums, and sung poetry all captured live on location with the ambient sounds of the surrounding villages. These recordings were made in Xekong, Champasak and Attapeu provinces and because much of this music is unknown, this is probably the first time recordings have ever been released of indigenous music from these remote areas of Southern Laos. This is the second release in a series of spectacular field recordings from some of the more remote ethnic minority communities in Southeast Asia. Features insightful liner notes by Laurent Jeanneau and extended track listing with added information about each track recorded.